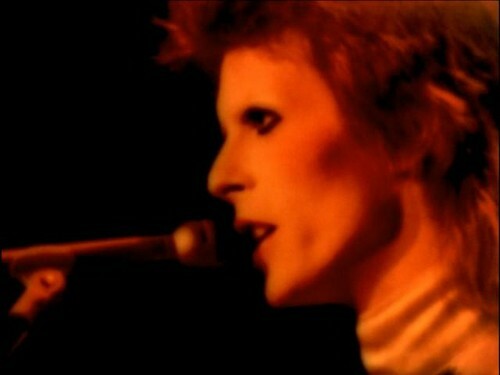 The Motion Picture. . Wallpaper and background images in the Ziggy Stardust club tagged: david bowie ziggy stardust the motion picture glam screencaps. This Ziggy Stardust Screencap contains concert, guitariste, and joueur de guitare.